The Blog / EasternBoarder : Eastern Boarder Tees Are Here!! Eastern Boarder Tees Are Here!! All these and more in stock now. These Pics are from the Danvers Eastern Boarder. Go to the wEBstore. But if you live close, come down to the shop and scoop them up there. All EB's have a huge stock of Back to School Tees and Apparel. 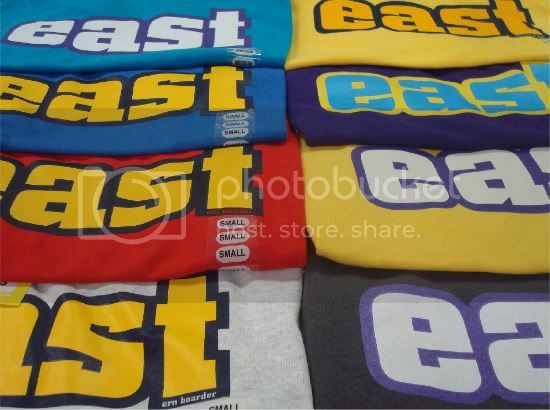 Buy any 3 t-shirts get 1 of the below Eastern Boarder shirts FREE!